Shock Absorption: Considering how rough the terrain you will be navigating will be, it’s vital to ensure that the sandals you get are a pair that can absorb shock when hiking to prevent persistent pain once your down with your excursion. Search for sandals that have foam midsoles or extra cushioning to ensure that your hike does not place a lot of stress on your feet. Waterproof: While you don’t plan on wading through water during your hike, ensuring your feet remain dry even when it rains can help alleviate the discomfort of enduring wet feet. 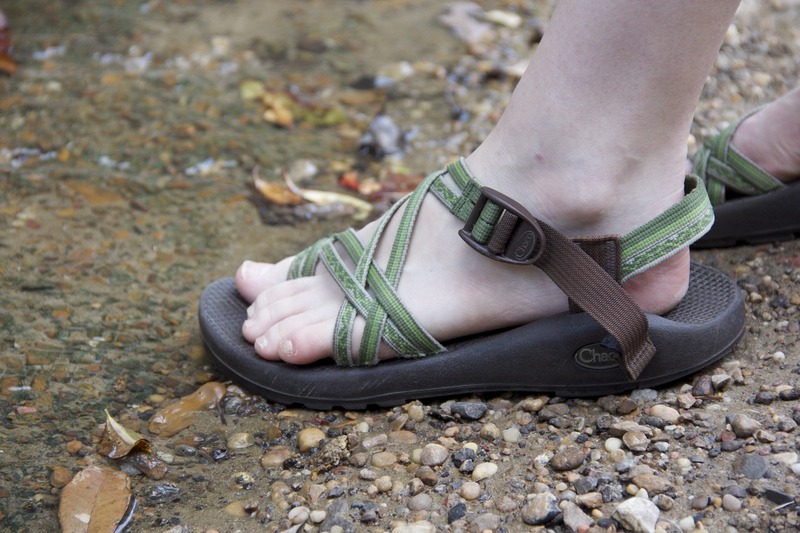 Synthetic uppers or rubber soles are especially effective at ensuring that sandals stay as dry as possible. Toe Protection: It would be advisable to wear open-toed sandals when going hiking since your feet would be left susceptible to injury from branches, rocks and other types of debris that you will face in the great outdoors. To avoid getting hurt, go for hiking sandals that have toe-protection to keep your feet and toes safe throughout your trek. The likes of these more open Spenco sandals would not be suitable. The Right Fit: When choosing a pair of hiking sandals, make sure that you get sandals that aren’t too small or too big for your feet or you will end up having a very long and uncomfortable day. Before purchasing a pair of hiking sandals, make sure that you try them on for size first and ensure that they are the perfect fit. It’s also a great idea to pick a pair that has adjustable straps; that way, you can comfortably wear a pair of socks when your feet start getting a bit chilly. 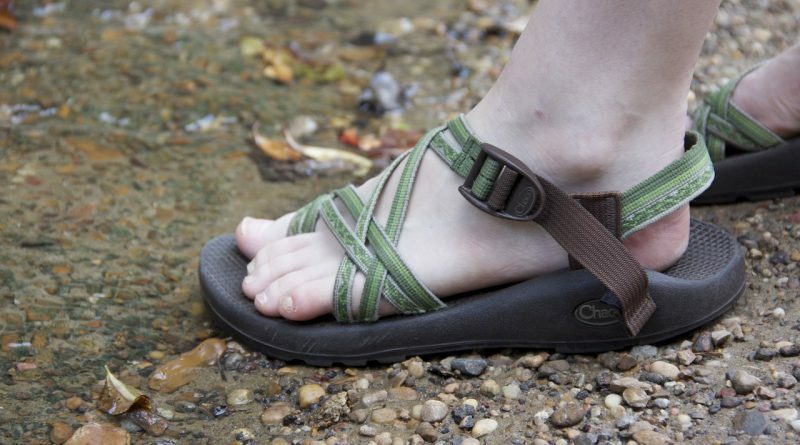 The great thing about hiking sandals with straps is that you can loosen them should your feet swell when hiking. Soles: For your sandals to provide you ample comfort during long days spent on the trails, it is vital that they have a sturdy and firm sole. Another important thing to consider is the amount and size of treads on the soles of the sandals as they will keep your feet protected even in the harshest terrain. If you are looking to purchase hiking sandals or comfortable hiking shoes that are supportive, protective and comfy, then get in touch with the experts at Haig shoes. For over two decades, we’ve been providing our esteemed customers all sorts of footwear and are ready to ensure that you get what you need to protect your feet on your next hiking expedition. Visit us or give us a call today and learn more about what we can offer you and your feet even as you prepare to blaze new paths.